Updates to Randy (Randall)'s profile since your last visit are highlighted in yellow. 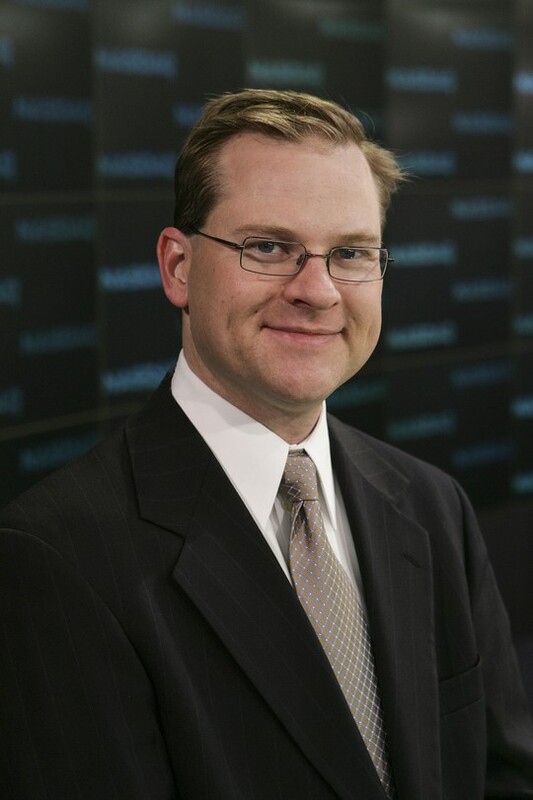 Randall is a Senior Vice President at the NASDAQ Stock Market. He manages teams in five countries, including the U.S., Denmark, Sweden, Finland, and Lithuania comprising the quarter-billion dollar NASDAQ Global Data Products business. His teams are responsible for providing information about securities listed on NASDAQ exchanges to the general public and to the institutional investment community. In particular, he and his teams are responsible for the creation, support, service, sales, and growth of products that provide core information on stocks, bonds, and options traded on the U.S., Swedish, Danish, Icelandic, Lithuanian, Estonian, and Latvian, and Finnish capital markets. Amy does the real work in the family, raising our three children, (McLean Anthony (5), Annabelle Elizabeth (3), and Zachary Davis (newborn)). 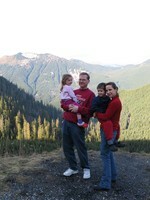 The family lives just south of Seattle. During the week, I frequently commute to New York City for work. On Sundays - in the fall – I am always found in section 330 at Quest Field in Seattle screaming my lungs out in support of the Seahawks. As to what has happened since 1989, I went off to Seattle for my sr. year of High School, and then off to Washington University in St. Louis for college. After a very short stint in the pre-Med program, I found my comfort-zone double-majoring in Economics and Philosophy. Neither prepared me very well for life (i.e., employment) after college, however. I spent the better part of the following eight years in graduate school, working as much as I was learning. Most of my focus was around information and how people use and interact with it. I got my first professional position working for a firm called EBSCO Information Services providing research solutions to federal government libraries while finishing a degree just outside of Washington DC at the University of Maryland. Several years later, I was fortunate enough to join the NASDAQ Stock Market, whose headquarters was also in Washington, DC. I lived in DC from 1995-2002 but was lucky enough to relocate back to the Pacific Northwest in 2002 to be closer to family and friends. I’ve been with NASDAQ for nearly a decade now and can hardly believe it. Amy and I met in St. Louis in 1992. We were both working retail (folding denim part time at The Gap) during our senior year of college. We are convinced we should sell The Gap advertising rights to our story – surely their marketers can make something out of the “Fall into The Gap, meet your soul mate, outfit your babies in BabyGap apparel” theme. We were married in 1998 after several years of a long-distance relationship and hundreds of hours of long-distance phone calls! Where was T-Mobile’s “Fav 5” program when we needed it!? Looking forward to catching up with everyone in August. Randy (Randall) Hopkins has a birthday today.